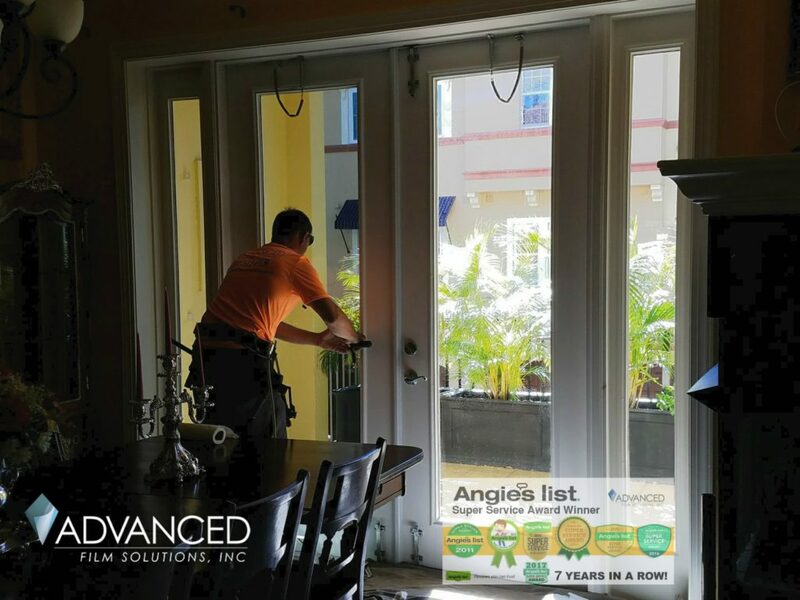 Keeping heat, glare and harmful UV from entering your home is serious stuff here in the Tampa Bay, Orlando or Sarasota Bradenton area. Many homeowners suffer with single pane clear glass windows and sliders. Drapes, shutters and blinds may offer privacy and some glare control but they provide very little relief from the everyday harsh Florida sun. Replacing windows is a very expensive proposition and in many cases unnecessary. 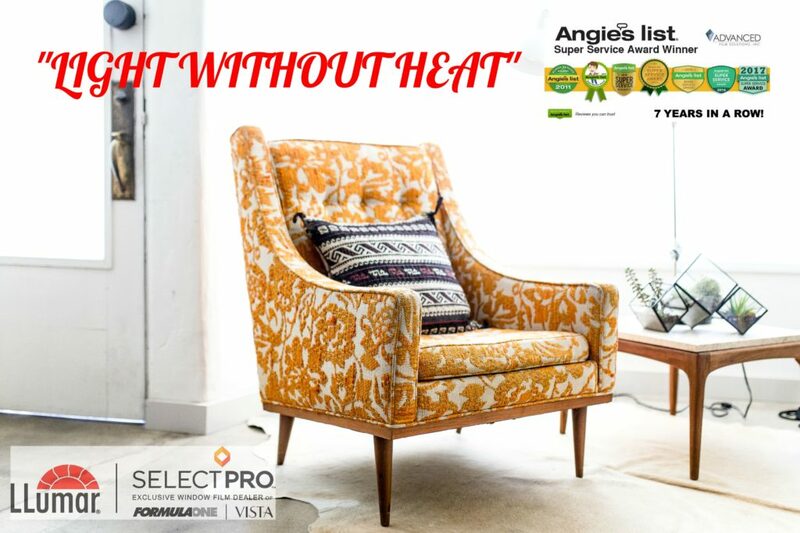 Window film can stop 99.9% of the UV and up to 75%-80% of the heat. 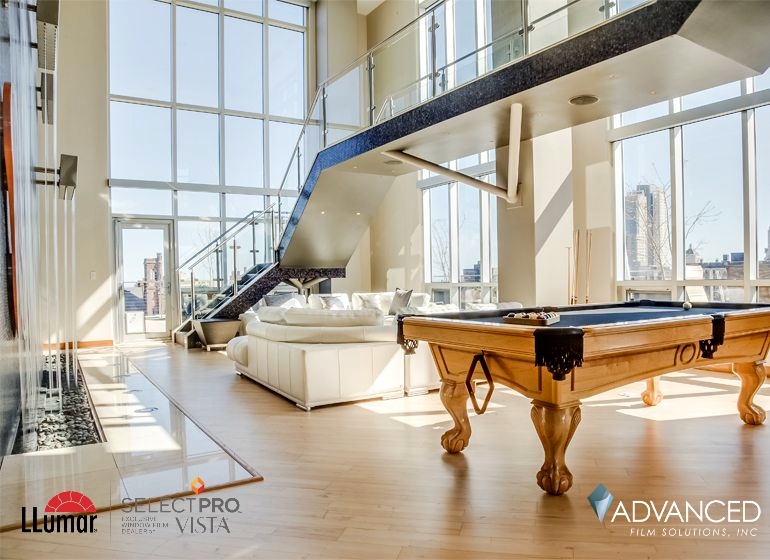 Advanced Film Solutions has the most complete portfolio of Eastman dual reflective films like LLumar and Vista. 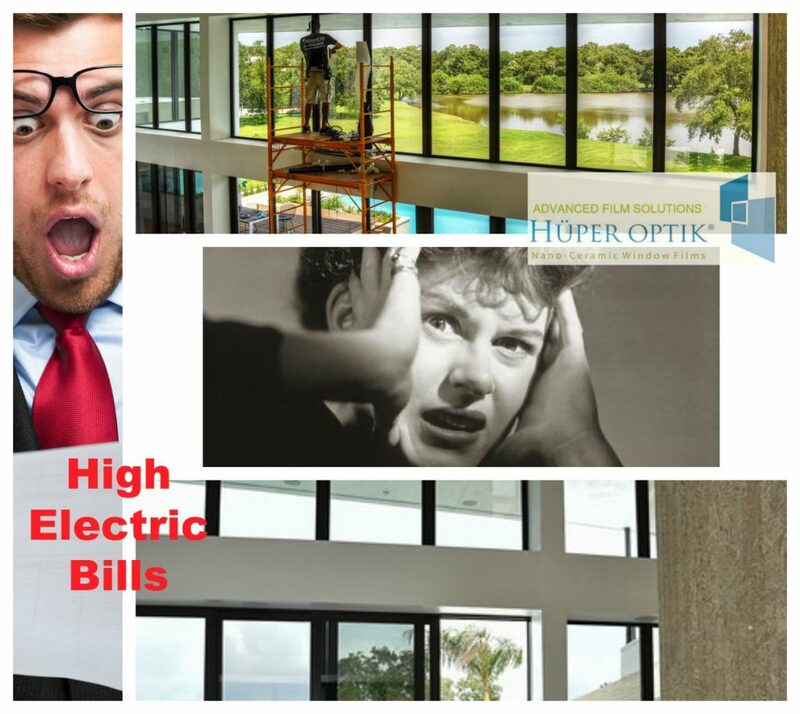 These are energy efficient films that offer incomparable heat control. 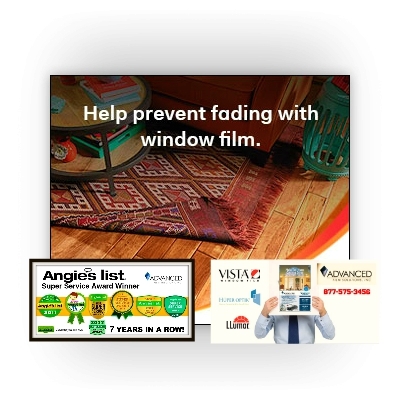 These films present a reflective appearance on the exterior face of your windows. This can be a benefit when privacy is required but nevertheless there are many instances when the reflective appearance is not preferred or simply prohibited by your HOA rules or Deed Restrictions. The solution is our Eastman Huper Optik series of nano-ceramic IR filtering coatings. The Huper Optik films are dye free so the color is stable and won’t fade over time. This is a significant advantage over the 3M prestige films. Huper Optik offers more light transmissions including darker 20%, 30% and 35% while 3M is limited to their prestige 40 in their darkest choice. If glare is an issue (and when isn’t it?) this is yet another superior advantage. Huper Optik and 3M are NFRC certified so consumers can get objective performance comparisons by referring to this quasi-governmental agency. 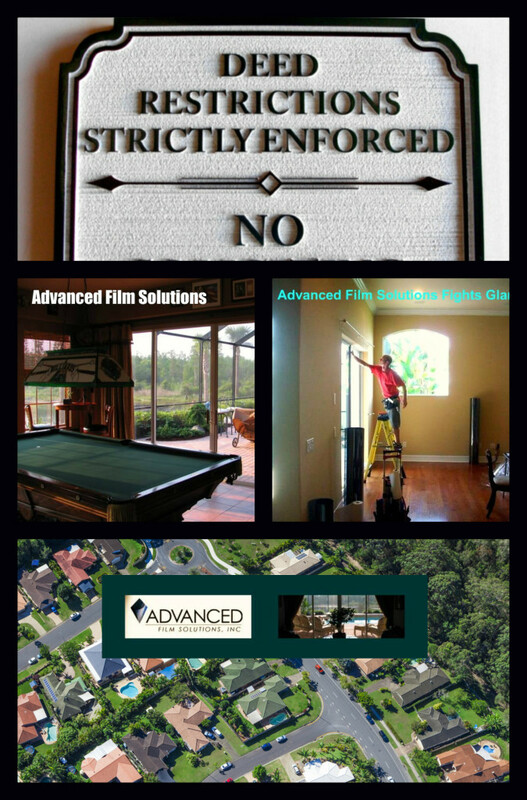 We are happy to provide free estimates and sample films for your HOA approvals. 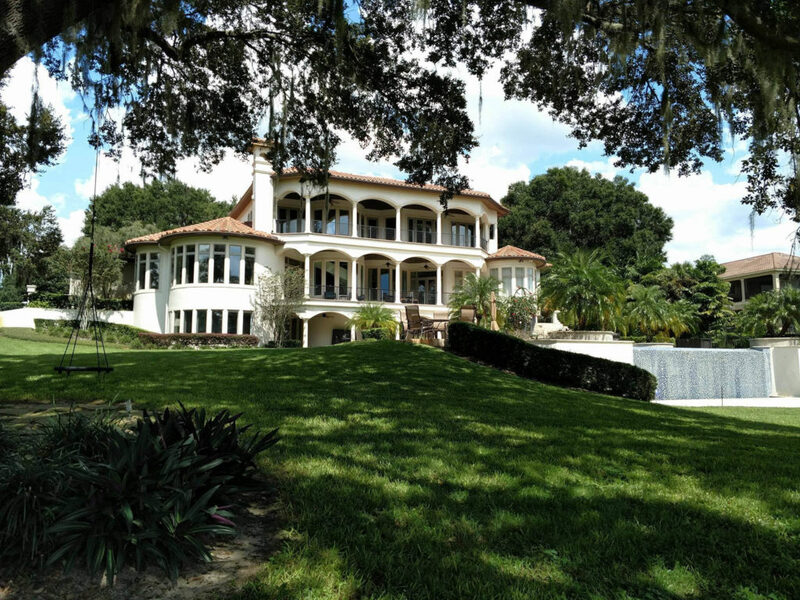 Tampa Bay, Orlando and Sarasota boast some of the more exclusive gated communities in the country. Homeowners appreciate the deed restrictions that prohibit activities that can lower property values. While homes in gated communities suffer from heat, glare and rising cooling costs their deed restrictions prohibit the use of reflective window film. 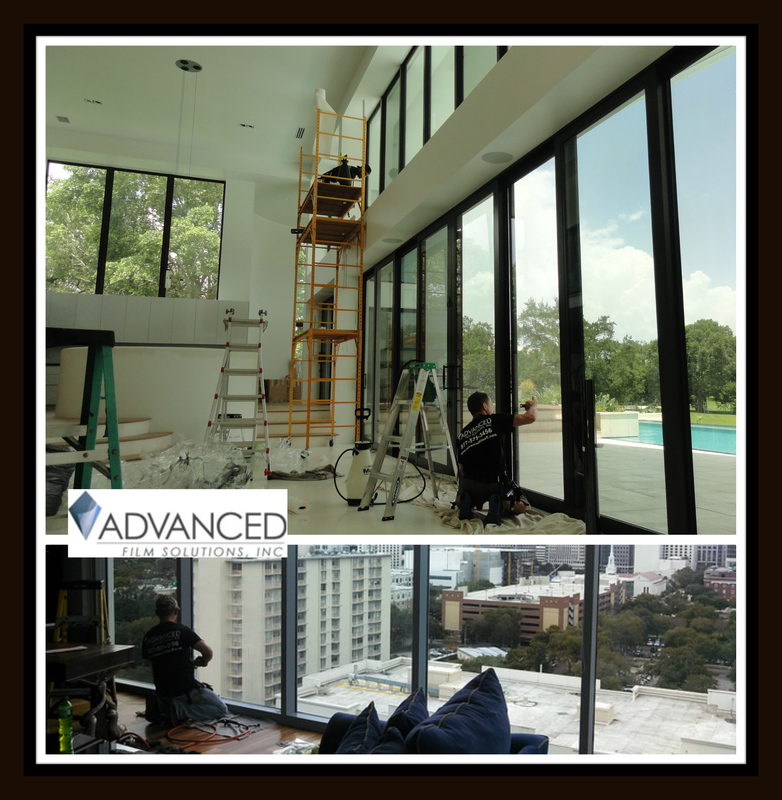 Advanced Film Solutions offers the best heat rejecting non-reflective window films that meet all deed restrictions. Huper Optik ceramic films provide the best heat to light ratio performance of any non reflective films. When we discuss anticipated performance on various glass types (single-pane, tempered, IG, etc.) we refer to documented characteristics as outlined by the NFRC. Huper Optik, Eastman Chemicals has a wider range of choices than the dyed prestige films. 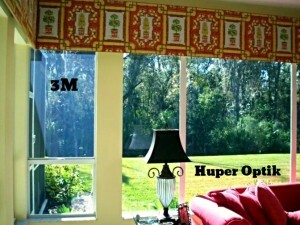 Huper Optik clarity is superior compared to the multi-layered 3M choices. 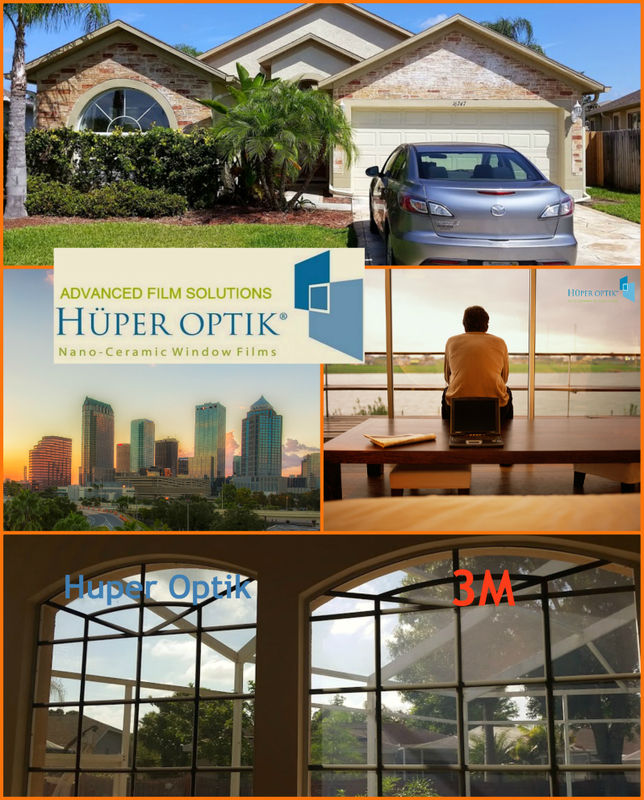 Huper Optik offers a lifetime warranty and of course our choices eliminate 99.9% of the UV. There are many gated communities that have allowed reflective films in their communities. 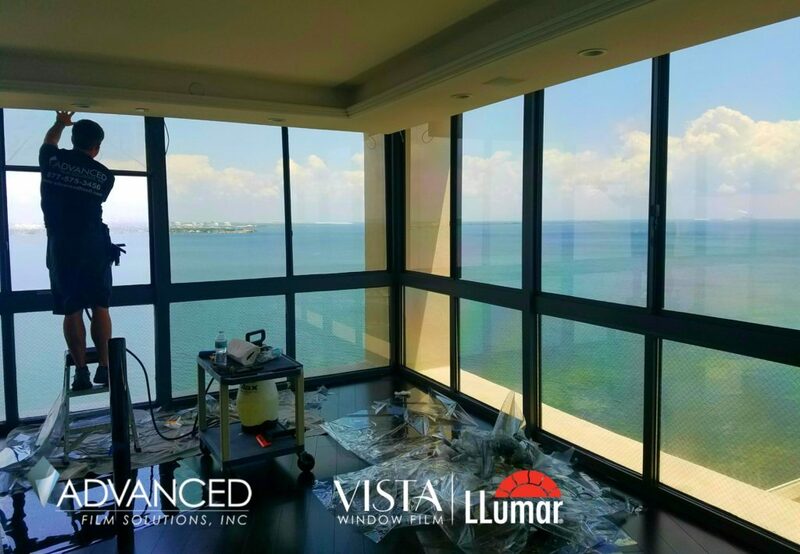 If the HOA approves than you might consider the Eastman Vista Series or our LLumar Dual Reflective films. These films are available in a wide range of light transmissions in either the Vista or LLumar lines and these choices out-perform our 3M Night Vision competition. Once again check our documented results on the NFRC website. You’ll note that our Eastman choices are available in a 5%, 14%, 15%, 18%, 25%, 28%, 35%, 38%. 45% while 3M is limited to a scant 3 choices. Our Eastman coatings have a transferable lifetime warranty as compared to 3M ‘s non transferable warranty. Thanks to patented ceramic technology the entire window film industry has been transformed. 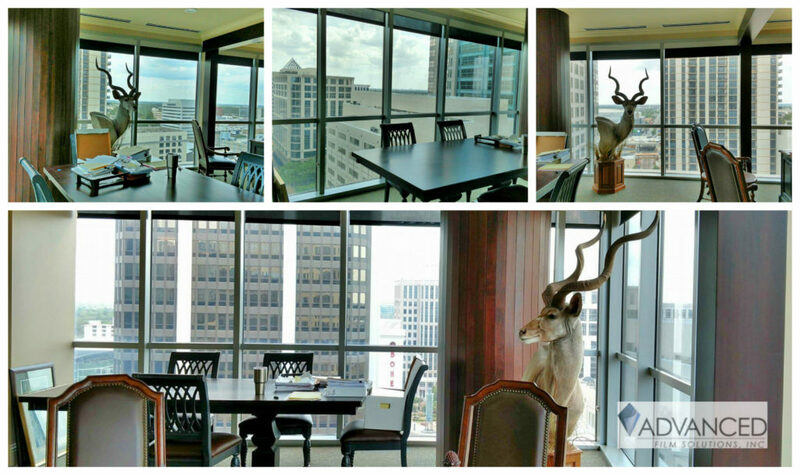 Home and business owners don’t have to live with reflective films that alter the appearance of your windows. Many home owner associations limit or restrict the use of reflective coatings and ceramic films are the preferred solution. 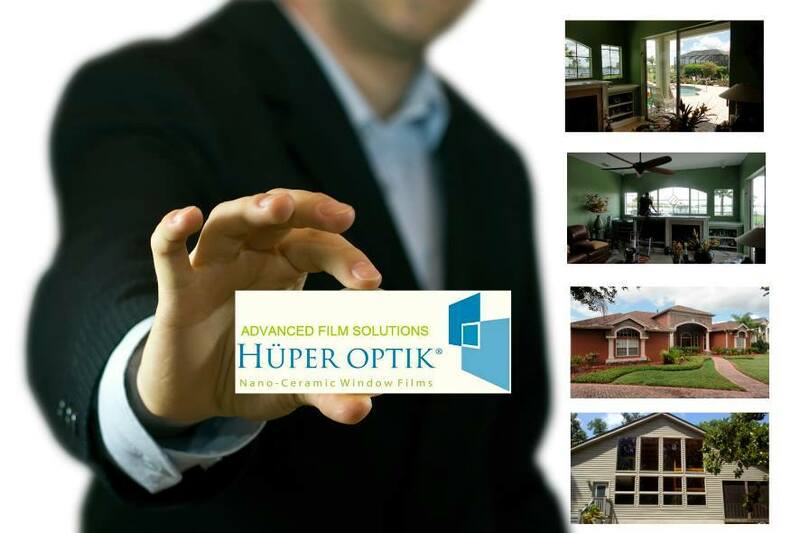 Huper Optik manufactured by Eastman Chemical’s is the only patented ceramic window film. Huper Optik has the best heat to light ratio and unlike generic ceramic film copy cats our ceramic film is available in lighter and darker shades and wider widths. Huper Optik is 100% dye free and available in darker light transmissions compared to the 3M Prestige films. Prestige is limited to a 40% light transmission at its darkest. Huper Optik is available in a 30%, 20% and lower. 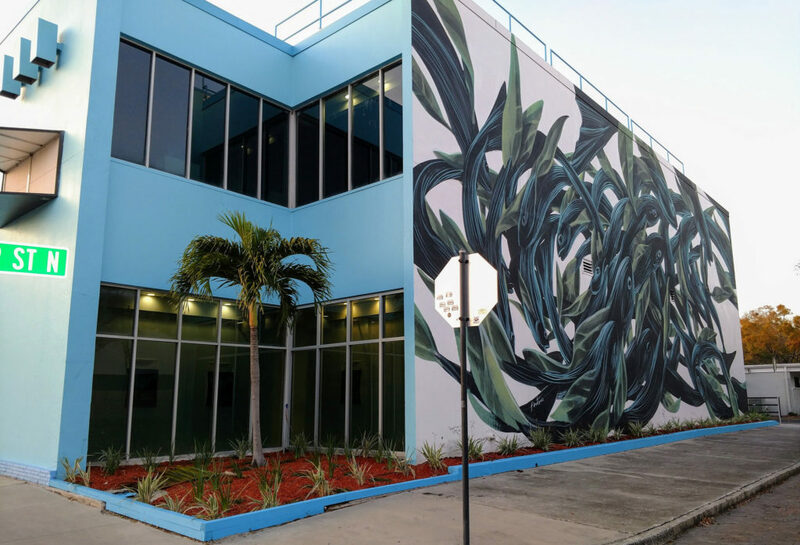 Mast notable is the history of delighted clients and perfect installation performed by Advanced Film Solutions Tampa Bay, Orlando and Sarasota’s leading window film installation company. Condominiums rising high above Tampa Bay are the envy of anyone who appreciates an outstanding scenic view. Glass is abundant for quite obvious reasons. 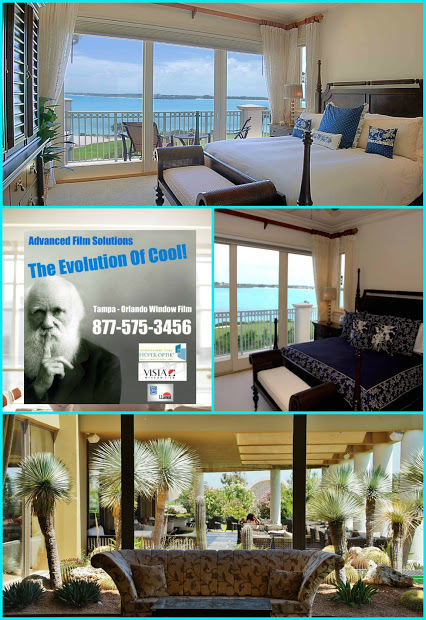 The problem is the never ending heat, glare and rising cooling costs that are the direct consequence of an open view! Our clients along Bayshore Blvd are discriminating consumers. 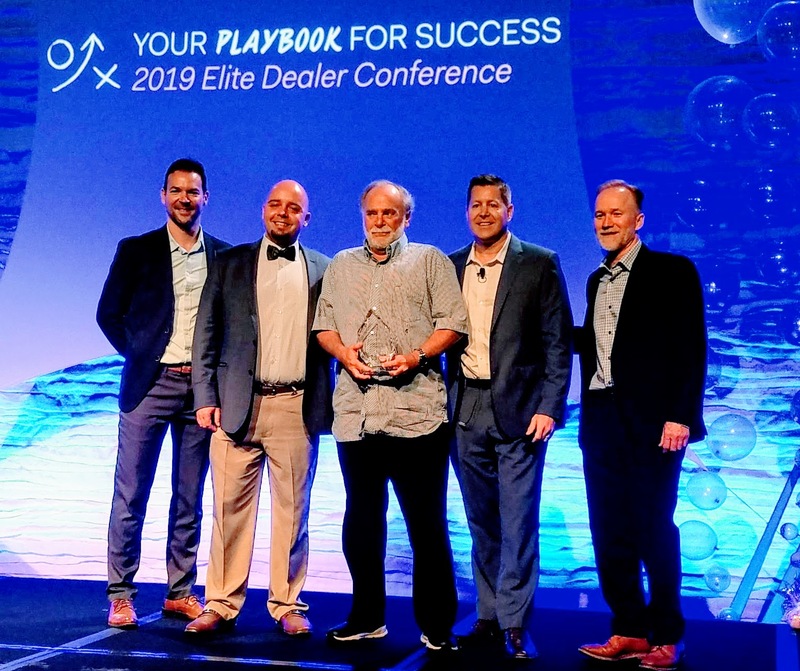 They appreciate incredible performance and results. They want a product solution that is durable and effective. They require an installation company that can handle any size project and has the credentials to meet and exceed all requirements. 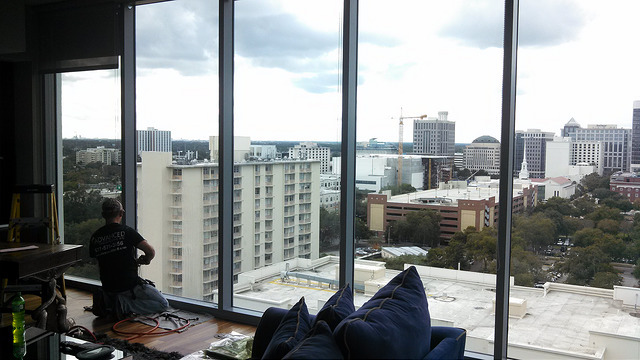 That’s why Tampa’s finest addresses select Advanced Film Solutions and Huper Optik Window Film. This German manufactured solar film offers incredible performance, optical clarity and visible light and IR heat rejection in more choices than any other solution. Non-reflective and nearly invisible our Huper Optik coatings meet the most stringent deed restrictions and HOA rules. 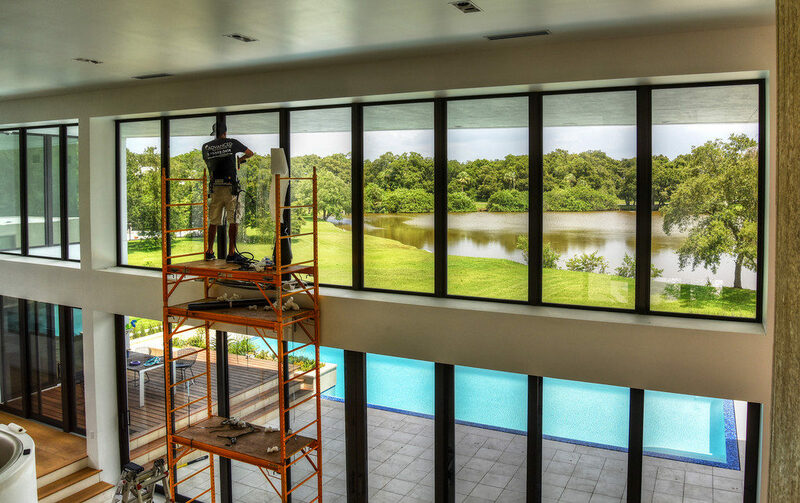 Florida Reflective Vs. Non-Reflective Window Film – How To Decide? One of the key factors that consumers have to address when selecting window film is whether to have a reflective coating or a non-reflective coating applied to their windows and sliders. 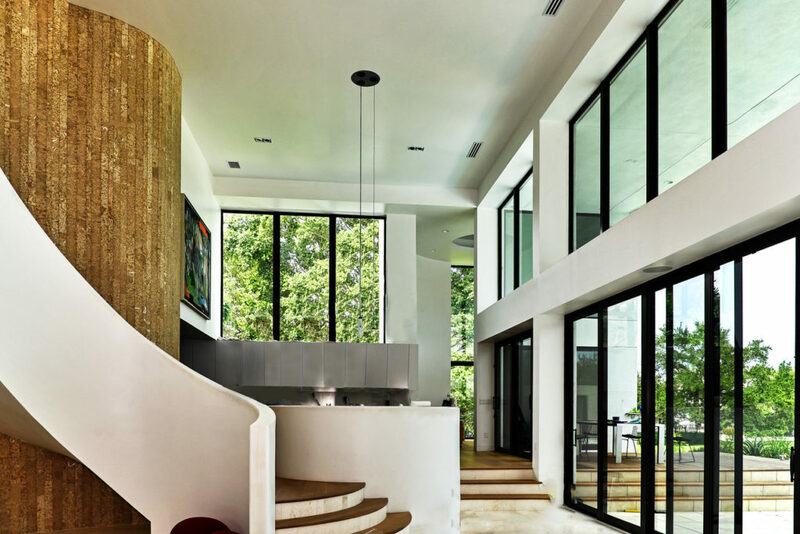 This is particularly important for the aesthetic appearance of the windows from the exterior perspective. Reflective films: More accurately today’s film is actually dual reflective. The exterior appearance is reflective while the interior is less reflective; enabling unobstructed views day or night. 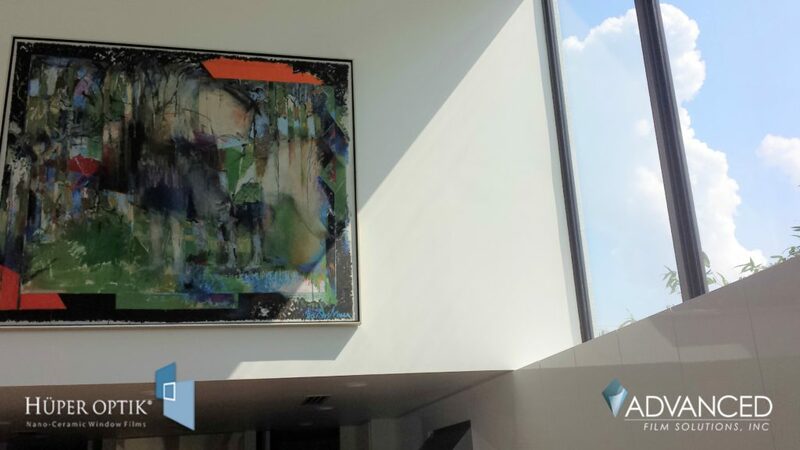 Reflective films provide additional daytime privacy than the non reflective choices. These films are typically safe for dual pane non tempered glass as well as single pane annealed glass. There are many choices of security solar films that can economically protect your home from smash and grab while lowering cooling costs. Advanced Film Solutions has a wide portfolio of dual reflective films manufactured by Eastman Chemicals. These choices include Vista Film and LLumar in light transmissions that range from very dark to light. Non reflective films are ideal for deed restricted communities, condominiums and any home where a reflective appearance is not preferred. Ceramic coatings like Huper Optik are designed to keep out heat without altering the look of the glass. These films are factoring out visible light as well as IR wavelengths.